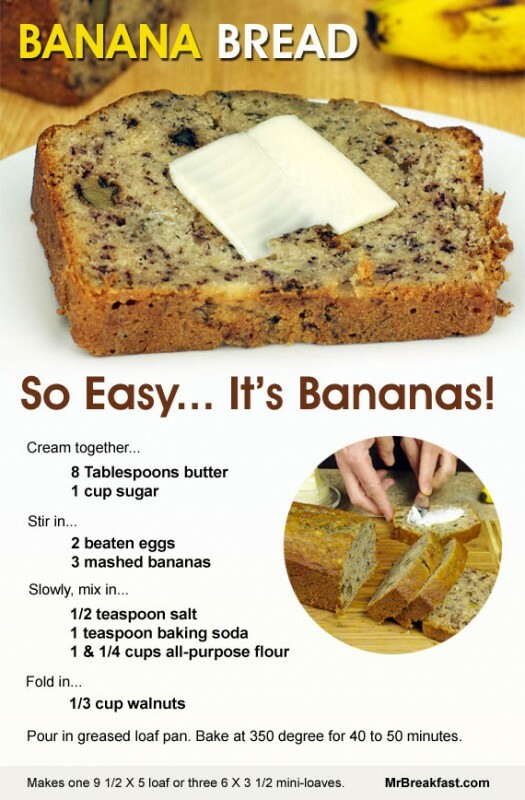 Banana Bread… So Easy, It’s Bananas! For the printable version of this recipe, click here. The only real trick to making good banana bread is using really ripe bananas. 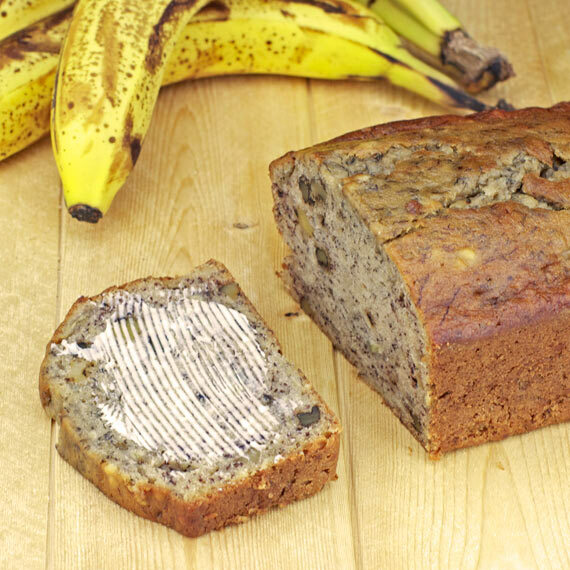 Just when you think it might be time to toss a banana in the compost bin, that’s the perfect time to use it for banana bread. The reason is that bananas develop more sugar as they ripen. The banana flavor becomes more pronounced as the fruit ages. I’ve seen some recipes that try to extract more flavor from bananas by microwaving them and cooking down the liquid produced to a syrup. That’s fun if you want to try it, but it’s unnecessary. Ask anybody’s grandma… the old way is the best way. Very ripe bananas yield very good banana bread. When I make banana bread, I use two mixing bowls: one to mash the bananas and the other one for mixing. Cream 1 softened stick of butter and 1 cup of sugar together until fluffy. Stir in 3 medium mashed bananas and 2 beaten eggs. Then, slowly stir in 1 and 1/4 cups all-purpose flour, 1 teaspoon of baking soda and a couple pinches of salt. If you like, you can add a teaspoon of vanilla or a few dashes of cinnamon at this point. Lastly, fold in 1/3 cup chopped walnuts and then pour the batter into a greased loaf pan. Bake for 40 to 50 minutes at 350 degrees and that’s all there is to it. This recipe makes one 9 1/2″ X 5″ loaf or three 6″ X 3 1/2″ inch mini loaves. The only note of caution with this recipe is to watch the cooking time. 40 to 50 minutes is a decent approximation, but every loaf of banana bread has its own distinct cooking time. The ripeness and size of your “medium” bananas both impact the cooking time. I’ve had one loaf take exactly 40 minutes and another with the same recipe take nearly an hour. Both turned out great despite the significant difference in cooking time. Just be sure to test that the bread is done with a toothpick or a skewer. If you stick it in the middle of the loaf and it comes out clean, the bread is done. I hope you have as much fun and success with this recipe as I’ve had. If you’re not that bananas about banana bread, but you’re totally pumped about pumpkin bread, check out this Pumpkin Bread Recipe. A wonderful breakfast to wake up to! Hi Angie. You’re so right. And it’s just as good the next morning warmed up in the microwave for 8 seconds. Thanks for the comment! Made this today with really ripe bananas and 3/4 cup light brown sugar:Super easy recipe that turned out fantastic! Thanks! Hi Amy. That’s awesome that you’re bookmarking it. I personally guarantee that it’s delicious. Hope you like it as much as I do. This recipe is way too easy and very delicious I js finished making a loaf. Is this all the ingredients? I’m amazed!!! Awesome. So happy it was a success for you! SO EASY IT’S INSANE ! Doing this as a retro silent was shear genius. Worthy of Buster Keaton or Charlie Chaplin. Hey Bill. Thanks so much for the complement about the video! A film worthy of Chaplin or or Keaton? I don’t know. But I’ll put my banana bread recipe up against theirs any day. I really appreciate your comment! Just tried the same recipe, but folded in 1/2 cup chocolate chips with the nuts. Amazing! Made it today without walnuts (didn’t have them on hand) but added dark chocolate chips. It’s super delicious. My daughter loved it. I can’t wait to make it with walnuts. Thank you. Can you use half white sugar and half brown sugar? Love the taste of brown sugar in everything. Looks like a nice simple and easy recipe. You can absolutely do that. Brown sugar can effect the liquid ratio in a recipe because it’s somewhat wet or damp compared to white sugar. But if we’re only talking 1/2 cup in a recipe like this, it shouldn’t effect the consistency of the bread too much. Let me know if you try it. Thanks! Made this used honey instead of sugar and coconut oil instead of butter was dellious thank you. Loved the recipe. I added chocolate chips and used sugar in the raw instead of white sugar. It made it sweet but not too sweet. I feel like the white sugar made it too sweet for my taste. Took it to work and it was gone in seconds. I made this bread last night and it was delightful. I only had two bananas but it still came out good. Mine baked 55 minutes to perfection . Loved it. Made this yesterday and it was delicious. Thank you. Am trying the zucchini bread this week. Excited to bake this tonight! Banana loaf is my fav!! CAn i use brown sugar instead of white sugar? Will it make any diference regarding the measurement and its taste of the finish product? I’d recommend using 1/2 white sugar and 1/2 brown sugar. I have been looking for years for “THE BEST BANANA BREAD RECIPE!”. Finally! I found it, thank you, thank you, thank you! That makes me very happy to hear you had such success with the recipe. Glad I could help! i made it, its perfect,, i bake it about 30 min, check, and then bake for 10 more minute, the texture are perfect, thanks. If you are using ripe bananas AND a cup of sugar, it seems like this would be super sweet to me. Any thoughts about cutting the sugar down to 1/2 cup? I’ve heard from others who cut the sugar to 2/3 cup and were still happy with the results. Hello Mr. Breakfast! I just made your ever so easy banana bread and had it in the oven for well over an hour and although the toothpick came out clean, the top middle of the loaf is mushy like it isn’t cooked. I can’t cook it any longer as everywhere else is getting too brown and crusty. Any idea why?Thanks a bunch! Hi Jennifer. My best guess would be that your bananas may have been a bit larger than medium. I’ve had the same problem with recipes that specify the number and size of particular fruits instead of the exact amount expressed in cups. I usually cover the bread with foil when I see it browning and keep cooking. Almost always works for me even if the cooking time nears 1 hour and 15 minutes. Sometime in the future, I’ll try to extend this article so it has an approximation of the amount of banana in terms of cups. Thanks! Absolutely. They’ll cook quite a bit faster, probably between 25 and 30 minutes. I’d check them at 20 minutes just to be safe. Let me know if you try it. Made banana bread for the first time this morning and used your recipe. My bananas were probably a little more ripe than the ones in your video so it took about an hour to bake. It was so delicious that I had two thick slices with butter spread all over for lunch! My father used to use a little milk with a few drops op vinegar in his and it was great. Why did he do this and how does this change it. I haven’t seen this in any others. I’ve seen some banana bread recipes call for buttermilk. I believe one way to make buttermilk is milk+vinegar, so your Dad’s addition of milk & vinegar probably gave it that slight buttermilk taste. I made banana bread last night with 1/4 cup of sour cream added and it was delicious too. What would the baking time be for muffins? I’d check them at 20 minutes but expect them to be done in about 28 minutes, give or take 2 minutes. My daughters and I made this recipe and it was delicious!!!! We loved this recipe! 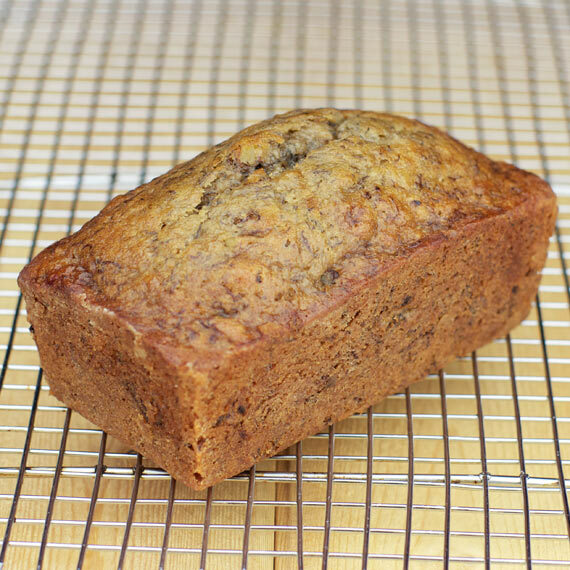 I have tried dozens of banana bread recipes and this one is by far the BEST – didn’t help that we used semi sweet chocolate chips and an extra banana! Absolutely. I’ve added a teaspoon before and that worked great. Fantastic! Nice and Easy warm bread on a Sunday morning. I made it this morning and it turned out very good I added a sprinkle of vanilla and fall spices ! YUM! Oh my gosh, this is the best video ever. I’ve been looking for a different recipe than the one I’ve been using, I will try this tomorrow morning. Thanks! I’d love to hear how it turned out for you. It is wonderful with peanut butter on it too. That makes me feel great hearing that you really liked it. Thanks! Making this tonight for the second time. Turned out so good last time do we are really looking forward to it. Awesome! Very happy to hear that. 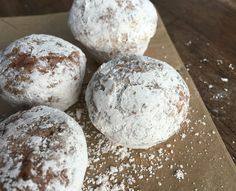 Can I’m use gluten free flour in this recipe? I haven’t tried it but I believe so. I’d consult the package and what it says about replacing all-purpose flour. Most brands have pretty specific instructions. Good luck! My banana bread came out white…why? I followed the recipe and added cinnamon and vanilla extract. Tastes good and baked for 45 minutes but no dark flecks or anything. Banana peels had brown dots. I doubled the recipe and used half cup margarine and half cup unsalted butter and white sugar. Was this the problem? Or were the 6 bananas not ripe enough? Also used an electric egg beater and made 2 loaves. Have used other recipes before and it came out that nice brown colour…stumped. My first guess would be that the banana weren’t ripe enough. I almost always use bananas that are near softened with many dark spots on the peel. I thinks it’s amazing that yours turned out white… like a miracle or a specialty recipe that others might be interested in. Thanks for sharing your results! Seems pretty simple. My husband requested a few chocolate chips in the batch. So I’m making individual mini loafs that will meet everyone’s specific tastes. Thanks you for share such a great recipe. Can’t wait to taste them! I’m sorry to hear that. What size loaf pan did you use? I’d suggest in the future to do the old toothpick test. Insert a toothpick into the center of the bread. If batter sticks to the toothpick, cover the loaf pan with foil and keep cooking. I’ve tried recipes that indicated 45 minutes that took and hour and 20 minutes, but as long as I kept on eye on the bread and covered with foil, it almost always turned out. Added some chopped cherries and it was soooo good! Made a second one to freeze! I like that chopped cherries idea. I’m gonna try that. Thanks! 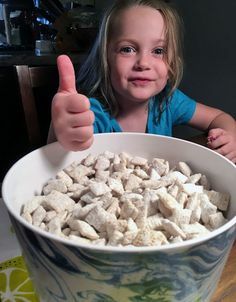 Found your recipe on Pinterest. Turned out great. Thank you for sharing. I want to make into cupcakes, how long should I cook them? I haven’t tried that, but I’d suspect about 25 minutes. Just start doing the toothpick test at 20 minutes: insert a toothpick in the center of a muffin to see if batter sticks to it. If batter still sticks, cook 5 more minutes. Keep doing that every 5 minutes, but I’d be surprised if they take more than 30 minutes. Let me know if you try it. Would love to hear about your results. Great recipe! Can I freeze these? Sounds delicious! Out of regular flour but have self-raising flour….Would I not have the same delicious bread?? How long would you cook the mini loaves for? I hate to say it took me a while to find your recipe. When I first started baking breads (and was very inexperienced with anything that wasn’t chocolate chip cookies), I ended up baking a few loaves of banana bread that just had way too many spices or not enough banana taste, with too many steps and unnecessary ingredients. However, I am happy to state that your recipe is my go to banana bread recipe, and is my base for the variations of banana breads (with chocolate chips, peanut butter chips, even a mixture of the two, extra nutty, and even a strawberry or cinnamon cream cheese swirl). I never thought banana bread could be so simple, thanks for proving that it is (and turning me into an expert banana bread baker! ), and that simplicity can be super delicious! I have made this several times now. It turns out wonderfully delicious every time. I’m addicted!! Thank you so much for sharing. I will definitely be trying the other recipes. My grandson is 9 and the pickiest eater I ever met, so last night I made your banana bread. When his mom and dad and he came home last night he kept saying I know that smell, I told him it was banana bread he had a piece I asked him if he liked it his reply ” it’s gone, if it’s gone you no I liked it “. Made this yesterday, used 1/2 cup white sugar and 1/2 cup brown sugar, added a 1/2 cup of sea salt caramel chips. It was awesome! Man this bread tastes good! I think my ovens a bit hot as well. Next time, there will be a next time, I’ll drop the temp a bit and increase the time. I’ll be ready with foil for a cover if needed. Delicious. I doubled it and added reasons to 1 of the loaves and extra nuts to both. Really moist and flavorful, and better than recipe I’ve used for 40 years. My new favorite! I thought this was the perfect base recipe for banana bread!! I added some vanilla and cinnamon and then instead of folding in walnuts I folded in some peanut butter and mini chocolate chips. Absolutely delicious! can I make with out nuts ? changes if no nuts ? Just made this instead of bananas used Pawpaws. Delicious!! 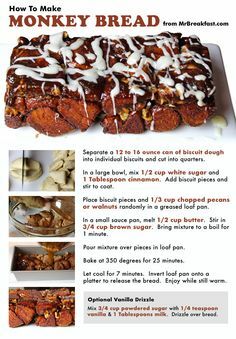 I made this recipe substituting Spend a for the sugar and almond flour for the all purpose flour. It was great, less carbs without losing flavor DELISHIOUS.!!! Wow this recipe is amazing, the best banana loaf I’ve ever eaten. The texture is soft and smooth, just right. My family loved it. Thank you for this easy, delicious recipe. 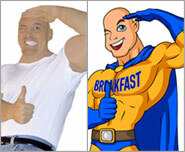 MrBreakfast.com features over 2,800 Breakfast Recipes and The Cereal Proect with more than 1,500 cereals.